Advertising continues to experiment with its conventions, bringing us more engaging content and hoping we'll buy their products. Sometimes it seems like the only ones that work are Apple ads and maybe a car commercial here and there. Sometimes the commercial doesn't make us want to buy the product, but it makes us want to find whatever good song is playing in the background. Music is of course a key element, so here are the songs that added to ads the best in 2017. In typical Apple style, the latest campaign for the iPhone 7 is sleek and cool. Shot entirely in black & white, the video is just watching a guy's feet as he strolls along the streets and up on some fancy looking buildings. Marian Hill's track "Down" is played throughout, giving it a cool, calm tone. One of the funniest ads this year (although technically late last year), LeBron James and Lil Yachty come together to make us laugh. It's weird, with floating heads and icy caves with pianos. Sprite know how to capture an audience. It's got wit and humor as well as a bangin' track that, on its own, is also quite funny. This track definitely makes this ad. It goes for the entire length of the song, gradually building throughout. Without the song, the ad would probably be boring -- "Believer" creates this whole other nintendo world, one I know I'd definitely want to be involved in. Levis at it again with some fun lovin' advertising! It's a simple concept of people dancing in their Levis, but what makes it great is the way it's shot and its nifty transitioning. We go from one shot and then we slide into another seamlessly, creating this fluid motion just like we're dancing! Jain's track "Makeba" gets the hips moving and the booty shaking, after watching this I'm heading out and buying myself yet another pair of these timeless items. Of course this track didn't come out this year, but that doesn't mean it can't make a fabulous addition to an ad campaign in 2017. Beats Audio's latest installment is a bunch of closeups of famous athletes listening to this track, either in preparation for a game or in a quiet meditative state; either way, it's captivating. The song obviously makes the advertisement great, it's got all the things you'd want in an advertising song; power, head bobbin beat, popularity, and how could we forget, it's by The White Stripes! A gorgeous track for another family-based ad. We follow the life of this girl who grows into womanhood all the while interacting with her dad. It's shot mainly through windows, mirrors, and pieces of glass creating this feeling of watching from a distance. Windex have really gotten creative here, because how do you make a window cleaner appear emotional and human? Well you just show images through very clean glass, and put a humble sounding song on top! Another technology company making pretty cool ads, because well, if the tech people can't make good advertising, who can? "Heart Is A River" is a great track and has so many components that it could literally be used in any advert, ever. The visuals are similar to Interstellar and maybe Gravity, and yes it's only because they're both about space and look so damn cool! 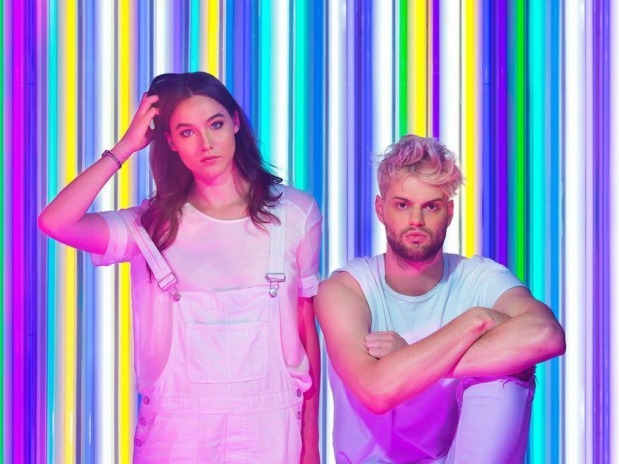 It seems like Sofi Tukker's jungle pop was almost created just for the iPhone -- that's how perfect of a match this is. With Apple's usual sleek, minimal aesthetic and the electronic duo's percussive rhythms, the ad is memorable and intense, and everyone's branding is intact.